SPOILERS: Will Nikki's Secret Cause Strife On The Young and the Restless? Nikki: Katherine’s passing has brought up some things in the socialite’s past she thought were long buried. It seems Nikki has a mysterious secret she only shared with Kay, and is not trying to delve back into it. However, Kay’s letter forces Nikki to face her past. Nikki starts to debate long and hard on whether she should do exactly what Katherine has asked her to do in her letter, since it can affect many people around her. Victor and Adam’s latest round of fighting has troubled Nikki, and she lets her husband know he is not paying tribute to their best friend’s life by acting this way. Nikki implores to Victor to call a truce with Adam and Jack. In true Victor Newman style, he tells her it ain’t gonna happen, while Adam and Jack also balk at Nikki’s request. Nikki isn’t deterred, and still tries to get the men to bury the hatchet. Later, Nikki cajoles Victor to head to Katherine’s will reading without her, which gives her the opportunity to speak with Paul about his investigation in private. Nikki decides it is time for her to come clean about what she’s hiding from her past, and fills in her old friend. Nick/Sharon: As Nick prepares to marry Avery; the first Mrs. Nicholas Newman visits with him under the guise of delivering a wedding present. Inside Sharon’s purse, that sassy little Faith drew a picture of her, Nick and Avery, with the legal maverick’s face drawn over in black! When Nick grills Sharon on what it all means, she feigns shock over Faith’s actions. Nick is clueless (as always) Sharon is the mastermind behind Faith’s behavior, but is determined to set his youngest child straight. Later, Nick and Avery’s wedding hits an unexpected snag. Will Sharon’s plan to break the two up succeed? Victor/Adam: Mr. Moneybags rips Adam for turning on him. Dylan/Chelsea/Adam: It seems Mrs. McAvoy’s web of deception has finally caught up with her. 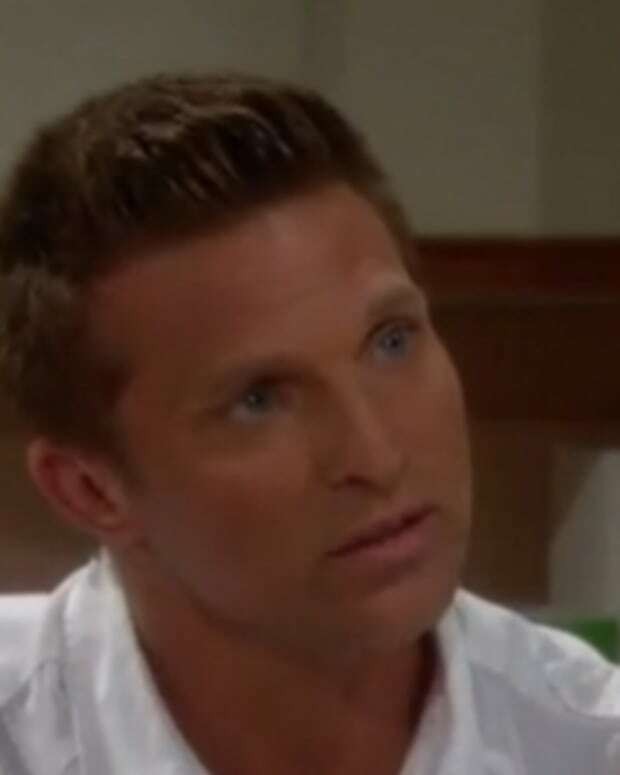 Adam eavesdrops on Dylan informing Billy and Victoria about baby Connor having retinitis pigmentosa, the pesky eye disease Adam and Hope had. Once Adam gets this juicy bit of intel, he figures out Connor is actually his kid! Adam marches over to Chelsea’s, and has a showdown with her over his discovery. Chelsea is not about to dismantle her happy home life with Dylan, despite what Adam knows, and denies it all. While the two former spouses are fighting, Dylan shows up and wants to know what the fussing is all about. Adam simply tells him; Chelsea will clue him on everything and departs. As the moment of truth arrives for Chelsea, will she finally come clean? Katherine: Expect some fireworks at the grand dame’s will read. Paul: Genoa City’s new top cop makes an important find in the case involving Nikki. Cane/Lily/Hilary: The Jabot secretary flips the script on the Ashby&apos;s.
SPOILERS: Will Nikki's Secret Child Destroy Her Family on The Young and the Restless? SPOILERS: Will Chelsea's Secret Be Exposed on The Young and the Restless? SPOILERS: Will Chelsea Bust Sharon On The Young and The Restless? The Young and the Restless Spoilers: Will Meggie Ruin Deacon and Nikki's Happiness?